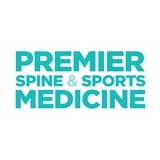 Premier Spine & Sports Medicine (Jersey City) - Book Appointment Online! Welcome to Premier Spine & Sports Medicine located in Fort Lee, NJ. Dr. Ruby Kim is committed to providing excellent care to her patients. We are dedicated to optimizing your health and lifestyle. Our center focuses on caring for your spine and sports-related injuries. We strive to work with our patients to achieving their personal goals. Dr. Ruby Kim is a Pain Management physician who specializes in spine and musculoskeletal care (i.e. neck pain, low back pain, knee pain, shoulder pain). Dr. Kim uses interventional techniques such as fluoroscopy (using an xray machine) for personalized and accurate treatment. She uses the ultrasound machine to help diagnose and treat you. She performs electrodiagnostic medicine (EMGs) to evaluate different problems such as carpal tunnel syndrome. You will receive personalized care that is compassionate and thorough. Excellent, I wish if all of my doctors are the same. She is very delightful, very professional, and have very nice sense of humor. Thanks again for her help.